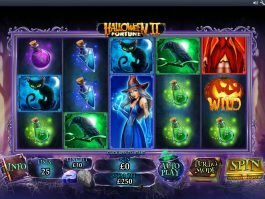 Thrill Seekers is a 5-reel, 50-payline online slot game developed by Playtech. 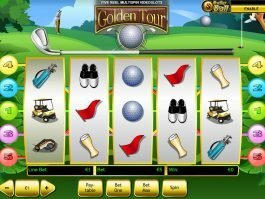 This is an amusement park themed game where you can enjoy some colorful experiences. 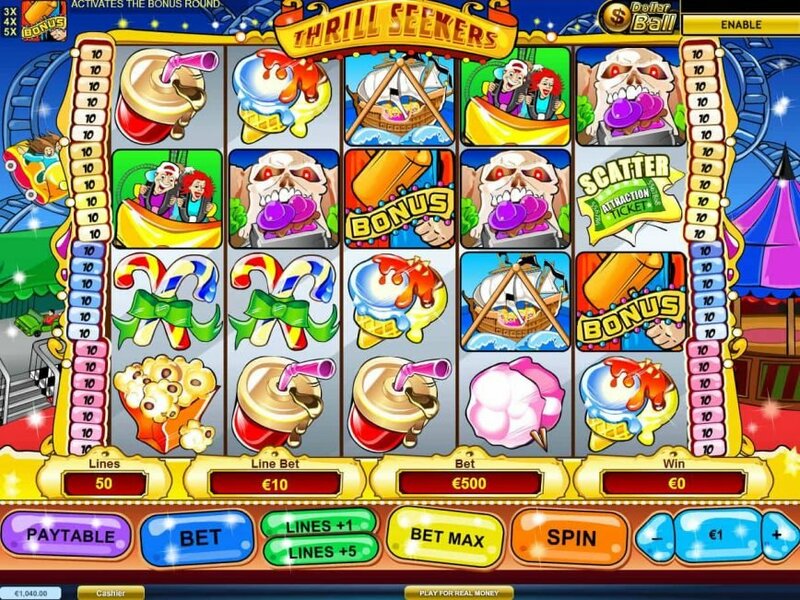 The background of this slot machine game is animated with rollercoasters zooming by. 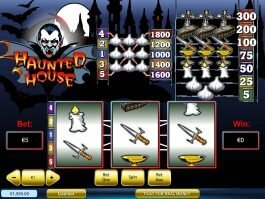 The symbols that can fetch high win are skull coaster, rollercoaster riders, popcorn, boat ride, ice cream, cotton candy, candy cane and drink. 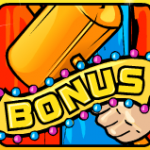 Clown is the wild symbol and it can offer as much as win worth of 10,000 coins. 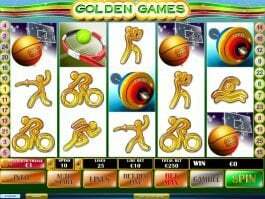 Attraction ticket is the scatter icon and hammer acts as a bonus symbol. 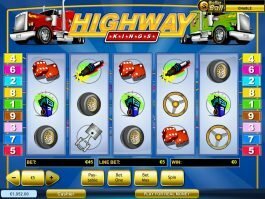 If you want to enjoy the various rides or refreshments, you have to trigger the free spins feature of this slot casino game. It can be done with three or more scatter symbols. 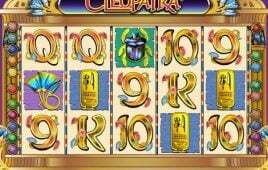 The combination formed with scatters can offer instant credits that vary between 10x and 200x of your total bet. 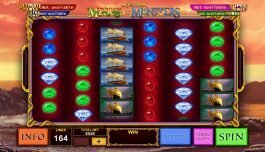 In addition, you receive 10 free spins where any win gets doubled. 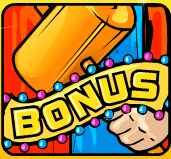 3 to 5 hammer symbols on any active payline start the bonus round.